I have sold a property at 404 3939 HASTINGS ST in Burnaby. Please visit our Open House at 404 3939 HASTINGS ST in Burnaby. I have listed a new property at 404 3939 HASTINGS ST in Burnaby. I have listed a new property at 211 4458 ALBERT ST in Burnaby. MONTICELLO ON THE HEIGHTS. Villa style 2 Level Townhome. Built by Aquila Development. Open Concept with 9ft. ceilings in Living Room, Dining Room and Kitchen. Laminated Flooring. Balcony off Living Room for BBQ. Kitchen includes MapleCabinets, Stainless Steel appliances, Spacesaver Microwave, Dishwasher, Garburator, Gas Stove. Breakfast Bar, with Granite Counters, Tiled Flooring. Den beside the kitchen makes a Great Computer Area or eating nook...2 Piece powder room on main floor for guests. Upper Level includes 2 Good Size Bedrooms. Master Bedroom, Mirror Closets, Full transit, shopping and community centre. I have sold a property at 4211 ETON ST in Burnaby. WATER & MOUNTAIN VIEWS!!! Well maintained North Burnaby home w/ new roof, new balcony & newer 2 bed basement suite w/ separate entry! 3 beds & 2 baths on main. Views of Burrard Inlet & North Shore Mtns can be enjoyed from the kitchen, dining room, master & huge sundeck! Spacious living area has laminate floors, wood burning f/p & huge picture window w/ slider access to large front balcony. Spacious master has 3 pce ensuite! Energy efficient windows in kitchen & bedrooms! Single garage & carport & extra parking at rear. Located on quiet street in a sought after neighbourhood a short walk to 3 parks, McGill Library, Eileen Dailly Rec Centre, shopping, schools & transit routes! MONTICELLO ON THE HEIGHTS. Villa Style 2 Level Townhome. Built by Aquila Development. Open Concept with 9 ft. ceilings in Living Room, Dining Room and Kitchen. Laminated Flooring. Balcony off Living Room for BBQ. Kitchen includes Maple Cabinets, Stainless Steel appliances, Spacesaver Microwave, Dishwasher, Garburator, Gas Stove. Breakfast Bar, with Granite Counters, Tiled Flooring. Den beside the kitchen makes a Great Computer Area or eating nook. 2 Piece powder room on main floor for guests. Upper level includes 2 good size bedrooms. Master bedroom, Mirror Closets, Full En-suite, plus Balcony. Underground 2 Parking Stalls plus Spacious Locker and Bicycle Room. Walk to all amenities: transit, shopping and community centre. I have listed a new property at 4211 ETON ST in Burnaby. OPEN HOUSE SUN, FEB 23rd 2-4PM! WATER & MOUNTAIN VIEWS!!! Well maintained North Burnaby home w/ new roof, new balcony & newer 2 bed basement suite w/ separate entry! 3 beds & 2 baths on main. Views of Burrard Inlet & North Shore Mtns can be enjoyed from the kitchen, dining room, master & huge sundeck! Spacious living area has laminate floors, wood burning f/p & huge picture window w/ slider access to large front balcony. Spacious master has 3 pce ensuite! Energy efficient windows in kitchen & bedrooms! Single garage & carport & extra parking at rear. Located on quiet street in a sought after neighbourhood a short walk to 3 parks, McGill Library, Eileen Dailly Rec Centre, shopping, schools & transit routes! MONTICELLO ON THE HEIGHTS. Villa Style 2 Level Townhome. Built by Aquila Development. Open Concept with 9 ft. ceilings in living room, dining room, and kitchen. Laminated flooring throughout. Balcony off living room for BBQ. Kitchen includes Maple Cabinets, Stainless Steel Appliances, SpaceSaver Microwave, Dishwasher, Garburator, Gas Stove. Breakfast bar w/Granite Counters, & tiled flooring. Den beside the kitchen makes a great computer area/eating nook. 2 piece powder room on main floor for guests. Upper level includes 2 good sized bedrooms. Master bedroom, mirror closets, full en-suite, plus balcony. Underground 2 parking stalls plus spacious locker & Bicycle Room. 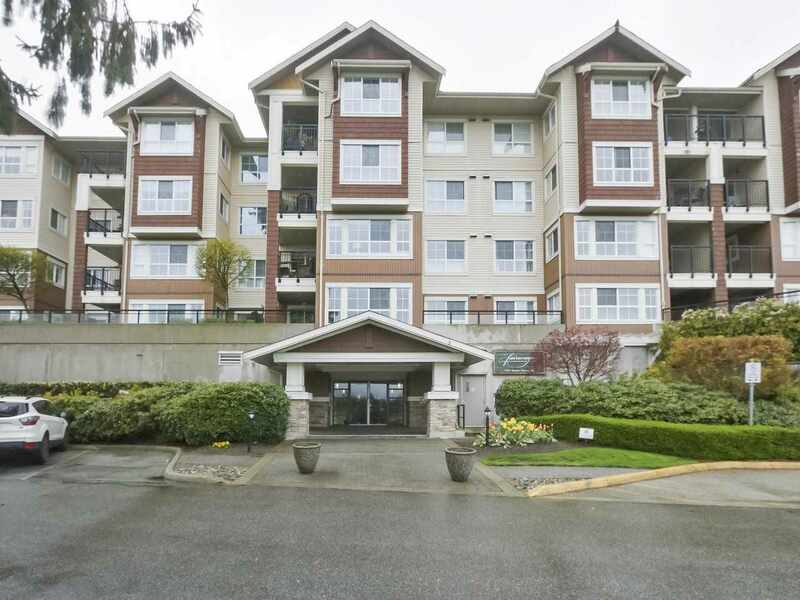 Walk to all amenities: transit, shopping & community centre. I have listed a new property at 401 4365 HASTINGS ST in Burnaby. "The Height of Living". For those who want the very best. Prime south view Penthouse @ Tramonto by Boffo. Luxury 2 bedroom plus den offers over 1000 sq.ft. of spacious indoor/outdoor living space. Solid wood entry door welcomes you to a home of fine interior finish; crafted millwork, genuine hardwood floors, granite counters. Tope of the line fixtures/appliances appointed throughout. Large gourmet kitchen part of entertaining space features island/gas range/wine fridge/pantry for storage. Master ensuite has separate walk in shower for added comfort. Cozy gas fireplace to sit by and relax. Bonus: natural gas hook up/balcony barbeque. Experience a lifestyle of utmost convenience. Pharmacy/coffee shop located @ lobby entrance. I have listed a new property at 305 4468 ALBERT ST in Burnaby. Vancouver Heights 1 level townhouse with your own private entrance and it's an easy walk to shops, restaurants & recreation. Good size living/dining room adjacent to modern kitchen with maple cabinets, granite counters and stainless steel appliances including gas range. 2 good size bedrooms. 2 full bathrooms. 9' ceilings throughout. Secured parking. Oversize storage locker for bicycles.